Have you ever been asked to appear for a psychometric test as a part of your job application process? Have you ever wondered how a psychometric test works, why it entails answering questions that don’t seem to be directly related to the job role, or how many types of psychometric assessments are there? If you answered ‘yes’ to any of these questions, here’s your guide to psychometric assessments - a hiring tool that is used by leading companies around the world. Psychometric assessments are tests based on scientific techniques that measure attitudes, mental capabilities and competencies of individuals. Using psychometric tests, recruiters aim to get deeper insights into a candidate’s personality, skills, working style, and what motivates him/her. Psychometric assessment tools include personality profiles, reasoning tests, and motivation assessments. They usually fall in one of two categories: aptitude tests and personality tests. Modern organizations leverage these tests using a cloud-based online format. Most industry leaders such as Deloitte, KPMG, Ford Motor, Citigroup, Proctor & Gamble, etc. use psychometric assessments to recruit candidates. What do companies use psychometric tests for? Psychometric assessments are typically a part of a company’s overarching recruitment strategy and can be implemented to serve more than one purpose. Firms deploy psychometric assessments offered by leading assessment and testing companies such as MeritTrac, in order to hire best fit candidates from a competitive pool of applicants. Companies can also implement these tests to assess their employees to assign them to suitable teams, predict their future performance, devise training programs for them, etc. According to the British daily, The Times, over 75% of The Times Best Companies to Work For and 80% of Fortune 500 firms use psychometric tests. How do psychometric tests aid hiring decisions? Job interviews can be highly subjective and can involve subliminal biases, impairing objectivity that is crucial to the selection of the right fit candidate. Psychometric tests equip recruiters to bring more objectivity and validity to the process by overcoming such biases. The pattern of questions in a psychometric test is such that your performance is less likely to be impacted by your mood on the day of the test or your interviewer’s preferences. Science-based assessments help derive measurable and consistent data through a standard format, making the selection process more transparent and fairer. Royal Bank of Scotland (RBS) is a leading example of a global organization that uses psychometric tests for their ability to eliminate unconscious bias from the recruitment process. 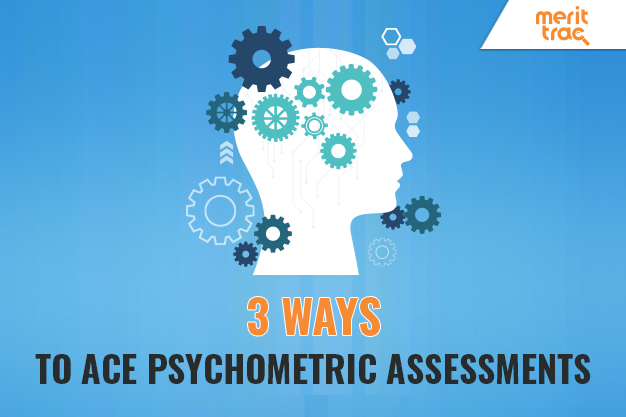 How to prepare for psychometric assessments? It is possible to practice and prepare for these tests with the following three steps. 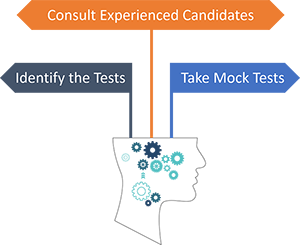 Identify the tests: Try and find out the types of psychometric tests that the recruiters are going to put you through during the job application process. More often than not, hiring managers give you the details of all the rounds of their hiring process. Knowing which test to prepare for can help you direct the focus of your preparation accordingly. Consult experienced candidates: Knowing someone from within the company will be of an advantage as they can give you an insight into what the company is looking for and what they expect from a potential candidate. In case you do not have an acquaintance in the company, you can look up on professional networking sites such as Glassdoor, LinkedIn, etc. to find past and current employees of your potential employer. Take mock tests: The best way to evaluate your performance is to attempt mock tests to understand where you stand. Such tests highlight your strengths and point to the areas where you need improvement. This assessment is used to test the cognitive abilities of a candidate such as the ability to quickly learn, solve problems, and comprehend new ideas and achieve performance targets. You will therefore be tested on your analytical, numerical, verbal and quantitative abilities. These skills play a critical role in determining the potential of a candidate in technical as well as vocational roles across industries. Communication skills have been rated as one of the top four soft skills that are most in demand in today’s collaborative work culture. Employers seek candidates who are adept at both written and verbal communication. In fact, companies prefer employees who are not only good at comprehending, but who can also be articulate and persuasive. Communication assessments typically evaluate candidates across three key language elements: written, spoken and active listening comprehension. According to a Gartner research, 80% of employees lack the skills needed for their current jobs as well as those needed to propel their career growth. As modern job roles become more specialized while demanding adaptability and flexibility at the same time, companies are testing candidates for functional skills and capabilities. Domain assessments measure a wide range of industry skills such as Engineering, Medicine and Allied Sciences, Management, Law, etc. In a highly competitive and fast paced working environment, companies prefer to hire candidates who have a high emotional quotient. Behavioural traits are now factored into the hiring process of most modern companies. Behavioral and personality assessments evaluate candidates and employees on various factors such as workplace thinking style, willingness to learn, leadership capabilities, generic personality, sales personality, and customer service orientation. They implement reliable psychometric frameworks such as Big Five Personality, Holland’s Career Interest, Blake Mouton’s Managerial Grid and Herzberg's Motivation Model to gain an objective insight into an individual’s overall personality and behavioural patterns. Considering the increasing use of psychometric assessments for recruitment by forward-looking organizations, learning more about them and preparing for them in advance is not just a good-to-do but rather a must-do practice.